You are here: Home / Bulletin / Bulletin / Community Notices / Would you like to hold a stall at the school’s Christmas Market? Would you like to hold a stall at the school’s Christmas Market? School families are encouraged to apply to run a stall at the market. If you make craft or food or anything that would fit well at the market, please pick up an application form from the office. We’d love lots of locally home-made or -grown craft, produce and food, so that school families have a chance to browse for Christmas gifts, enjoy a snack and join in a relaxing end-of-year school community event. School classes are also invited to propose a stall. 100% of funds raised by class stalls go to the class. Other non-class stalls give 10% of takings to the P&F. If you would like to apply for a stall, please pick up an application form at the office and return it by 15 November (the sooner the better, though). 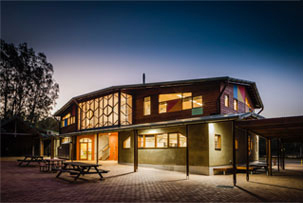 http://capebyronsteiner.nsw.edu.au/wp-content/uploads/2015/12/CBRSSwebheaderlogo.png 0 0 Yvette http://capebyronsteiner.nsw.edu.au/wp-content/uploads/2015/12/CBRSSwebheaderlogo.png Yvette2018-11-09 11:45:472018-11-09 15:48:37Would you like to hold a stall at the school’s Christmas Market?